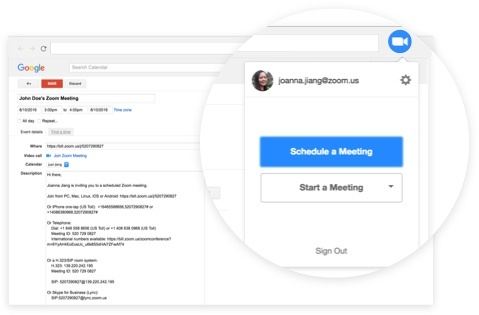 Zoom makes video and web conferencing frictionless. Zoom is the leader in modern enterprise video communications, with a secure, easy platform for video and audio conferencing, messaging, and webinars across mobile, desktop, and room systems. Zoom was Named a 2018 Gartner Peer Insights Customers' Choice for Meeting Solutions! Zoom Video Communications was Named a 2018 Gartner Peer Insights Customers' Choice for Meeting Solutions. Zoom is a perfect way to train and onboard remote employees. Communicate with someone 2,000 miles away face-to-face with absolute clarity. Generation Digital help organisations of all sizes to learn, implement and adopt Zoom to connect people, break down silos, and help organisations create collaborative cultures and embrace the digital ethos. With a unique advantage of being one of the early adopters of this platform, we can help you fast track your own implementation and adoption of Zoom, whether it's Zoom software or Zoom Rooms. This whitepaper gives you a quick look at what Zoom can offer. It includes Zoom services, features and what operating systems and devices are compatitable with Zoom. Healthcare providers are leveraging the power of video communications to link patients, physicians, and clinicians and extend the reach of healthcare. Video communication in education offers: access to more resources, flexibility for the learner and equal opportunities for students and teachers regardless of location.